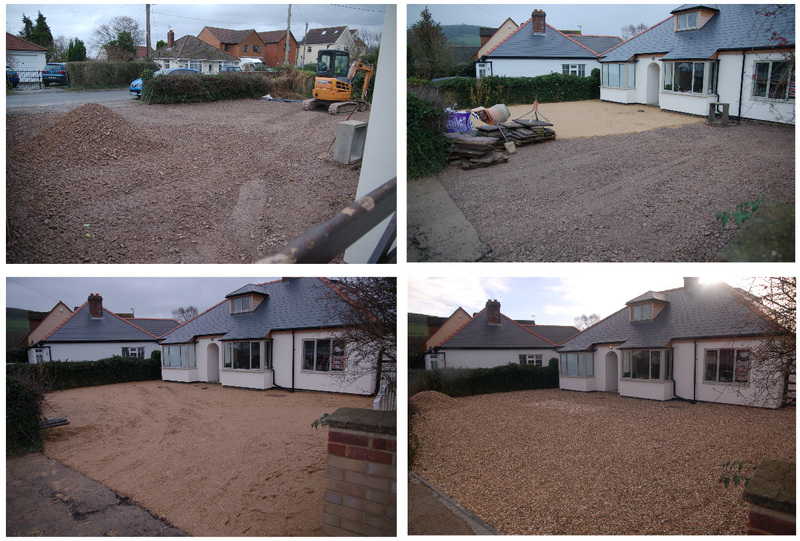 First up (below) was removing the old tarmac front drive and replacing with a permeable pebble surface, to provide sustainable drainage, and extending it down the sides of the house. 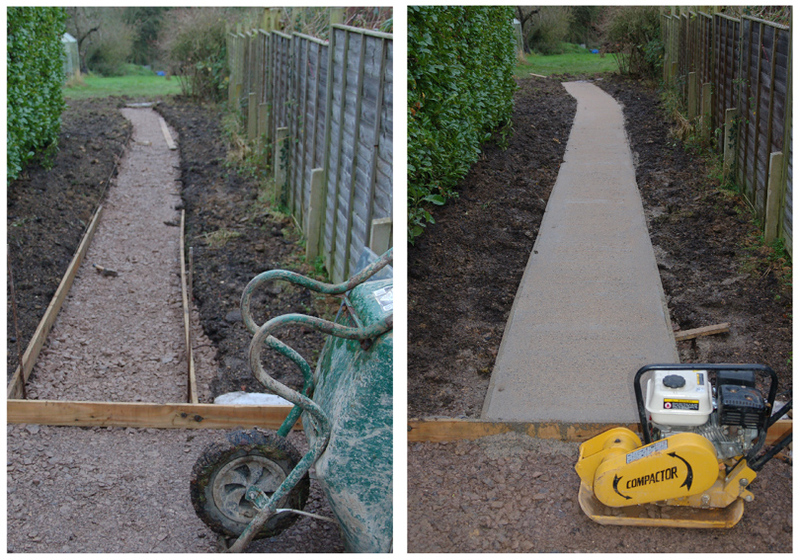 Then there was a new bit of concrete path (right) from the boot room to join the existing path down to the stables. Weirdly that original path just stopped twenty foot short of the building. 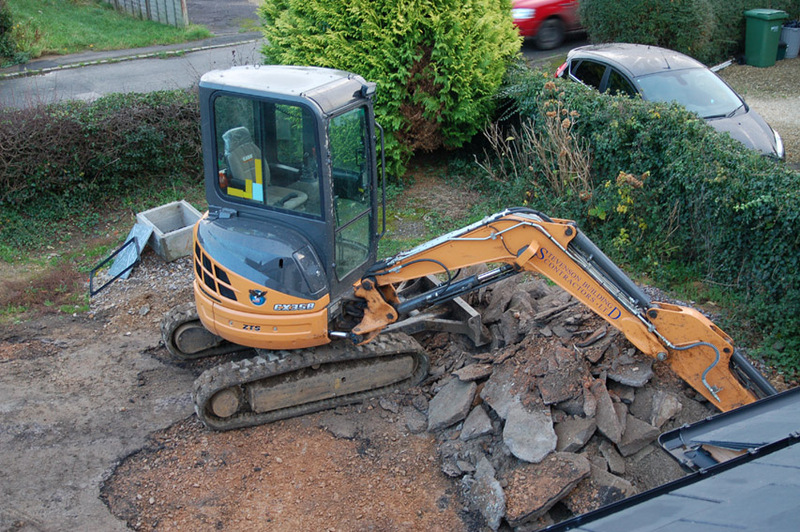 Now we can happily wheelbarrow from door to door. Also there was never any power or water down at the stables, so we also took the opportunity (below), along with the temporary pain of wreaking more of the grass, to bury a service pipe alongside the path. Finally in anticipation of fine summer outdoor living, which feels somewhat optimistic still in the wet winter gloom, we added the obligatory patio (below) across the rear wall of glass. Now we, and our solar panels, just need some sunshine! 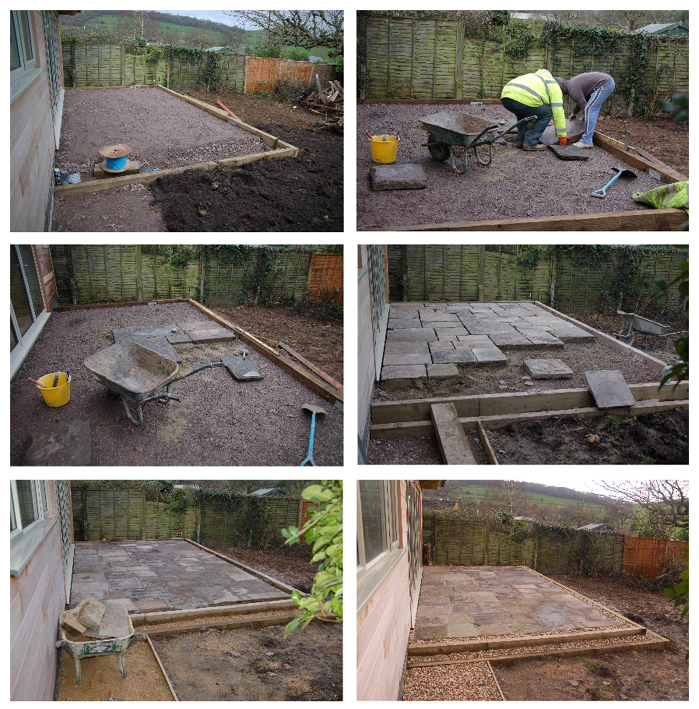 This entry was posted in House and tagged eco makeover, front drive, landscaping, path, patio, Paul Rainger, Smallholding, SUDs, sustainable urban drainage, The Secret Acre by paulrainger. Bookmark the permalink.